Affirmation: I courageously see through the darkness of adversity to make positive changes. There is always light at the end of the tunnel. I easily transform the negative to the positive. 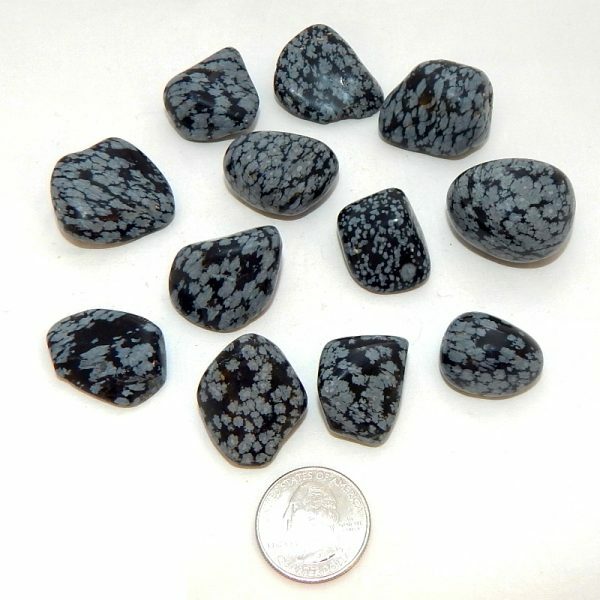 About the stone: Snowflake obsidian is a natural glass composed of two-thirds silica or more, formed during the cooling of volcanic lava that displays white snowflake-like inclusions of cristobalite. 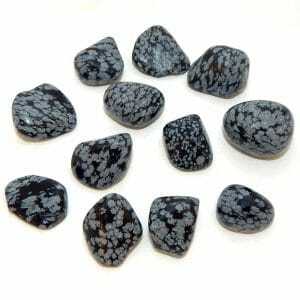 Spiritual uses: Snowflake obsidian can open new pathways of spiritual thought and connection. The white flecks in this stone emphasize the enlightening nature it generates when the right intention is set. 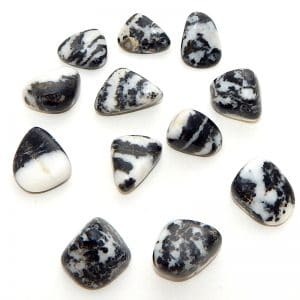 Mental uses: Snowflake obsidian is ideal for assisting you with accepting change and transformation in your life. 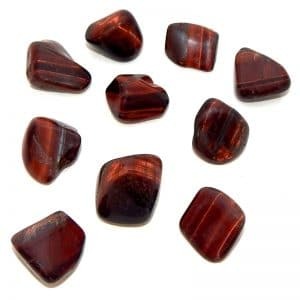 Emotional uses: Snowflake obsidian helps you find the benefits of emotional challenges. 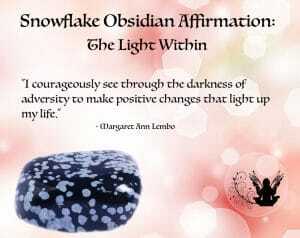 Physical uses: Snowflake obsidian eases the problems associated with the menstrual cycle. It is useful for balancing hormones through every stage of a woman’s life.